Our soprano soloist for our concert on 25 November at St Matthias’ Church, Wellswood, Torquay is the sublime singer, Elinor Chapman. Elinor graduated with a degree in Law with French before taking a post-graduate diploma in performance and vocal studies at the Royal Welsh College of Music and Drama. companies including Kentish Opera and Unexpected Opera. 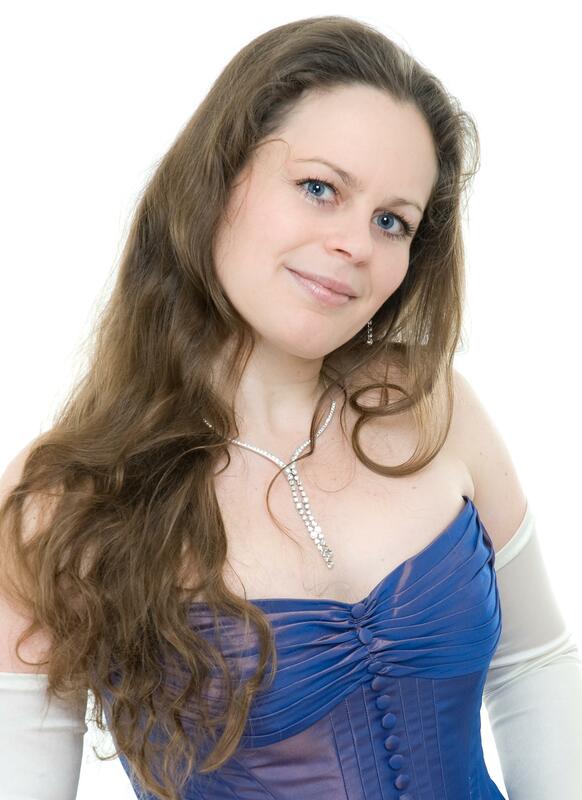 For Duchy Opera Elinor has played Malwina in Marschner’s The Vampire and Adina in Donizetti’s The Elixir of Love. She has twice toured as a soloist with the Kent Sinfonia to China and has given concerts and recitals as far afield as New Zealand. Oratorio work includes Pergolesi’s Stabat Mater, Mozart’s Requiem, Handel’s Judas Maccabbeus, Haydn’s The Seasons, Vivaldi’s Gloria, Mozart’s Exsultate Jubilate and Faure’s Requiem. Future engagements include Mozart’s Requiem, Haydn’s Little Organ Mass and Handel’s L’Allegro, il Penseroso ed il Moderato. To hear Elinor perform in Bach’s ‘Sleepers, Wake!’ and ‘Let the Bright Seraphim’ from Handel’s Samson Oratorio join us on Saturday 25 November at the earlier time of 7pm. Tickets are available priced £12 for the concert with a separate ticket of £4.00 for the finger buffet. As usual children and students under 19 are welcome to the concert free of charge but will require a finger buffet ticket at £4.00. Tickets can be obtained from Choir Members, online and of course on the door. Please note that because we have to cater we are asking people to book tickets no later than Saturday 18 November. There may possibly be extra buffet tickets available on the night but first come, first served as they say. This entry was posted in 20th Century British, Bach, Britten, Choral, Handel, Paignton, torquay, Uncategorized and tagged #sdchoirchristmas, Bach, Britten, Brixham, choir, Choral, Christmas, concert, Handel, Paignton, torquay, Wellswood.